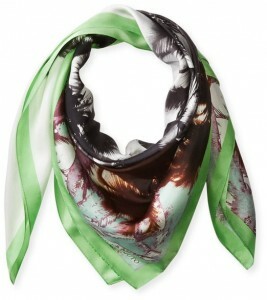 The scarf is a versatile and multifunctional accessory which can be very helpful to any woman. Worn initially by the Croat mercenaries, the scarf was brought into everyone’s attention by the French people. We are talking basically about an extraordinary accessory that can be easily worn in any season, not only during the fall. At that time, the need and utility of the scarf was even more important. I am saying this because during the fall it doesn’t have only an aesthetic role as it does during the summer for example, but also it protects you from the cold. The fall scarf is an accessory that proves its huge versatility (as I was saying above) because it keeps you warm and protects you from the wind. 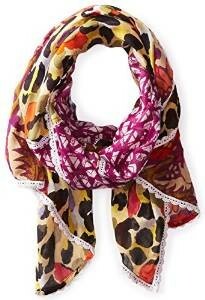 With a little inspiration, you can create some absolute amazing combos using the right scarf. You can wear it in combo with a classic outfit, with a business suit for formal office attire, the scarf perfectly completes any outfit. It keeps you warm and it can bring you a touch of style and class. If you like to always feel comfortable and you are not forced to dress formal, then it is just perfect, you can try to add a scarf to your outfit. And I am referring to an outfit combo that should include for example a pair of skinny jeans, a T-shirt, a cardigan and obviously a scarf. This accessory can be considered without any doubt a symbol of femininity and delicateness therefore, if you are a romantic person your daily fall outfit combo should definitely include a scarf. The scarf, as I was saying above, has many roles and yes, it is true that it can be worn in many different ways. You can wear it as most do it, around the neck, wrapped in order to keep you warm or, if you want to look more chic, wear it like a tie. 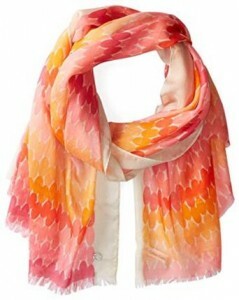 You can also wear it wrapped on your head in order to have a boho-chic look, or, like it is lately worn, like a watch. As you can see, there are many ways how to wear a scarf, you just need some creativity and to like this accessory of course. 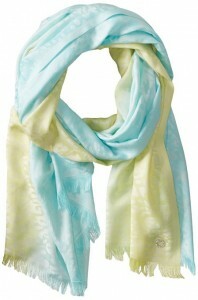 The versatility of the scarf allows you to wear it on different occasions and event you are going. And here I am referring not only during the day, but also at evening. Indeed, you can wear it without worries in any moment of the day. Whether you are going to school, at classes, or just having a walk, whether you are going out with your friends in the evening or simply going at work, the scarf is always ready to help you create the perfect look. 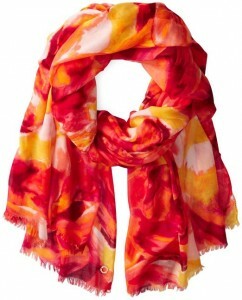 It is important to mention that a trendy woman’s wardrobe should definitely have not only one, but many scarf models. You need more models because, depending on the fabric and color, you can wear them with different types of outfits, according to your needs. The scarf is not, as I have already said, only an accessory specific to only one season. It is definitely perfect for all seasons, if we are thinking about its many roles. We are basically talking about a small investment that will last for several years because the scarf is still trendy and it seems it will be trendy many years from now on. The best part is that there are many models on the market, one more interesting than the other so for sure you will be able to find the perfect one for you.